Bhubaneswar: Curtain come down on the 7 day exhibition of paintings, sculptures, graphics, photography by the Eminent artist from six states of India as ‘Mokshyam” at Suvadra Art Gallery. Bhubaneswar. on Saturday and it will run for seven more days till 26th May,2018.The Closing ceremony with a formal felicitation in presents of dignitaries will be held on 26th.Hon.ble Mayor (BMC) Mr. Ananta Narayan Jena is chief speaker of the occasion.Padmabibhusan Raghunath Mohapatra, Manas Ranjan Jena, Secretary Odisha Lalitkala Akademy. Corporator (BMC,Word no-57) Smt. Puspa Das. Eminent Senior Journalist Mr. Pradosh Pattnaik. Eminent Painter/Sculptor Mr. Ravi Rath. Chairman Suvadra Art Galley Mr. Surya Rath and Gallery Director Ashok Nayak were present at grand opening. More than 60 participant artists from different part of the country were present in the opening ceremony.The art expo on its continuing days witness live painting demonstration by the artist and sculptors.As many as more then 60 Artists who participated in the show were facilitated during the exhibition.Artist from deferent quarters of the country have been greatly delighted for participating on this mega show. Five artists Binodini Behera, Sunil Dakua, Sangeeta Patnaik, Raghunath Sahoo and Subhamaya Biswal felicitated on Opening by dignitaries. 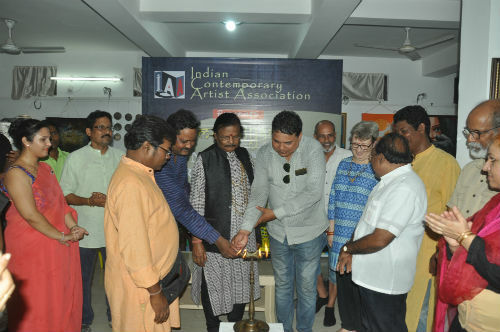 Such non-thematic art show will surely inspire many young and dynamic artist and to enhance their creativity towards a better society”, said ICAA founder Secretary (artist/sculptor) Mr. Sanjib BiswalParticipating artist from out of Odisha like Dr. M S Murthy (Bangalore) Sangeeta Kishore (Jharkhand) Md. 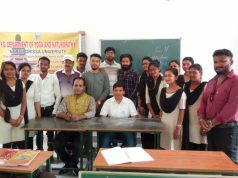 Anwar(Delhi) Bikramjieet (Andhra Pradesh) Dr Jumoni Bora (Assam) Ajaya Mohanty(Delhi) Aditi Deka Pathak(Assam) Anil Dingankar(Mumbai) Sanjay Ketan(Bangalore )Deepak Bakshi(Delhi) Piyali Sarkar (Kharagpur) Arun Badatya (Gujurat) Manoj Mohanty (Delhi) Piyali Sarkar(Karagpur).